However, in my cube, the columns are low and the layer pins are high. This wasn't really planned and doesn't matter too much either way, except for the code later on. There are 16 column pins and 4 layer pins, with the resistors on the layer pins. 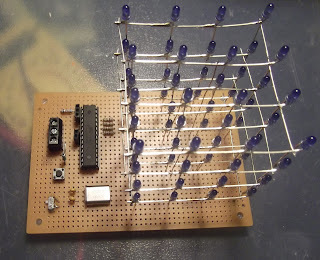 This uses up all of the atmega168's 20 IO pins. I wanted to add the button to allow different modes to be selected when the cube is powered on, this turned out to be really awkward, but after a while I managed to get it to work. The code designates the buttons pin to input in the setup, gets the number of presses (to select which mode to run) and then reassigns that pin to output. 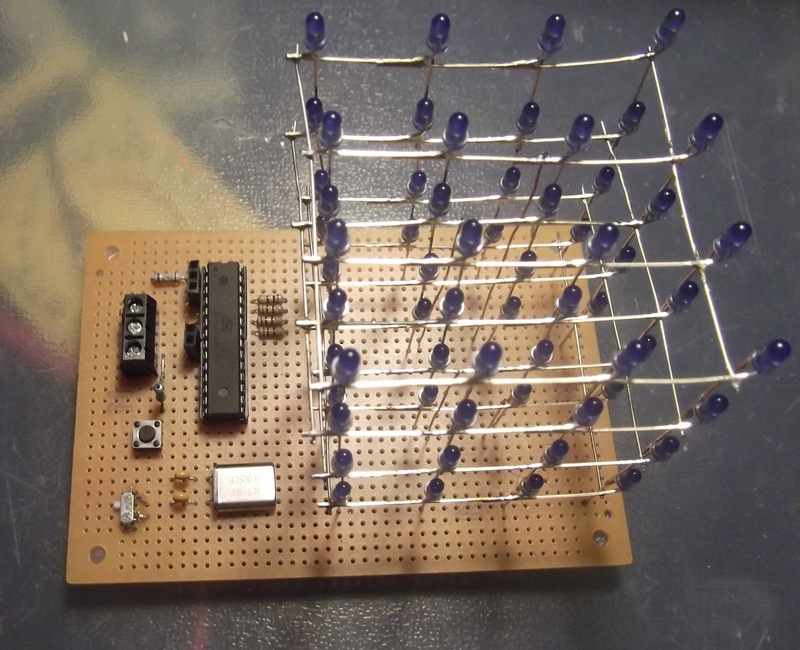 This lets me have input, while not needing to upgrade to a MCU with more pins or use a shift register. Here's a video of each of the six modes.